Anthologies have been trying to make a comeback the last couple of years. It's an ambitious endeavor which has yielded little success, due mostly to a lack of cohesiveness. Ghost Stories was a pleasant surprise. Reminiscent of the Amicus anthologies of the 60s and 70s, particularly Vault of Horror, it bleeds damp and dreary. The framing story is about Professor Philip Goodman (Andy Nyman). Goodman is a TV personality whose objective is to debunk the supernatural, from hauntings to psychics. His aspiration is to continue the work of his childhood hero. He embarks on a quest to get to the bottom of three unsolved supernatural cases. Cases that will test not only his skepticism, but his sanity. In the first case, a night watchman (Paul Whitehouse) experiences terrifying visions at a former asylum. In the second story, an awkward and obsessive teen (Alex Lawther) is involved in a demonic hit-and-run. 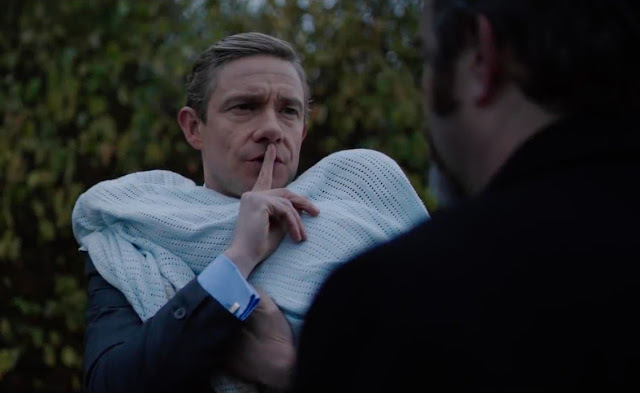 The third case is about a wealthy ex-banker (Martin Freeman), a poltergeist and a traumatic pregnancy. All three vignettes provide the audience with a well executed jump scare or two. There is also enough ambiguity to keep you guessing, but the clues to the conclusion are there. The big twist at the end is a bit convoluted, but it's satisfying enough. Martin Freeman may be the big name in the film and he is fantastic, but Alex Lawther (The End of the F***ing World, Black Mirror) is SO good, it's almost a shame the whole movie doesn't focus on his segment. 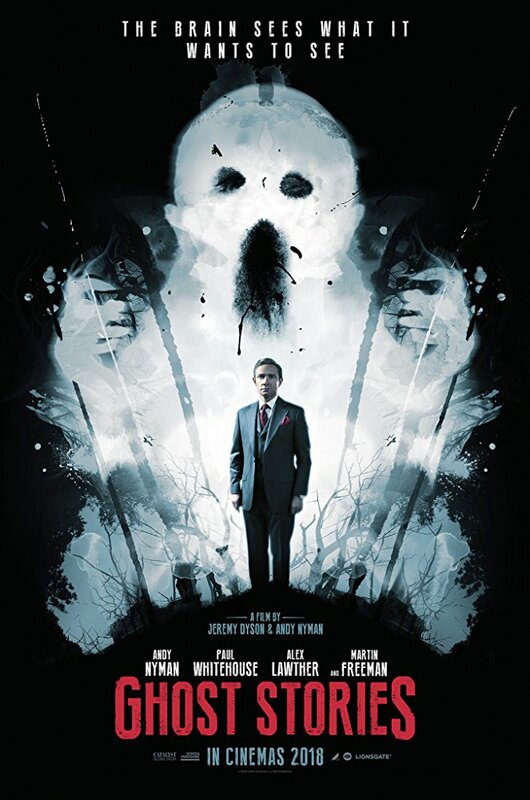 Ghost Stories is adapted from the stage play of the same name, written by League of Gentlemen scribe, Jeremy Dyson, and longtime friend, Andy Nyman, who also stars in the film. If you've ever seen League of Gentleman, then you know you're in for a bizarre ride. This is third horror/suspense film, that works on many different levels, in the span of a year, written and directed by people who are known primarily for comedy. The other two being Jordan Peele (Get Out) and John Krasinski (A Quiet Place). Coincidence? Ghost Stories screened at New York’s What the Fest!? on Saturday, March 31st and will be at The Overlook Film Festival in New Orleans in April. The movie opens in cinemas and will be available on VOD on April 20.